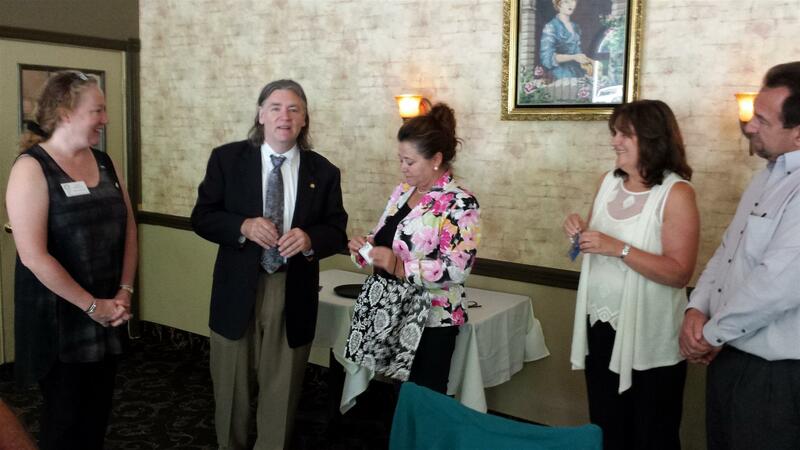 District Governor Frank Geraghty was on hand at Portofino's Restaurant on July 1st to induct our two newest members. Kathleen (Kate) Perlett sponsored by Alice Szigethy, and Mendi Asani sponsored by Margit Rahill became the first two inductees for the 2015- 2016 Rotary year. Mendi is the owner of Portofino's, while Kate whose office is in Sparta works in the home health field. We look forward to our newest members becoming an integral part of our club, working on our future projects.